I have an element in sketch that has a lot of intersections in the middle of it - when I try to apply a shadow to this element, the shadows become visible in the middle where the intersections are, in addition to the border. 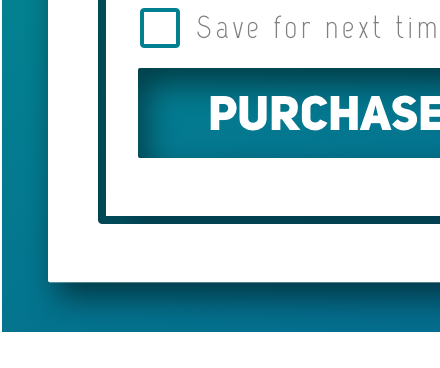 If you look at the image, you can see what I mean - the purchase 'button' is made via an intersection, because I want to preserve the background's gradient. However, I don't want the shadow visible here - just on the edges of the white box. Is there any way to get this to happen? I was playing with masking a little bit, but I have several elements like this purchase button - masking them all and re-organizing the layers is a lot of work and I was wondering if there was an easier way. If I understand the question correctly, there are two answers that come to mind. Another, more scalable option, is to create a layer underneath the intersected shape. Give it some stroke width and a shadow, and go wild with the intersections. Please have in mind that someone will have to apply front-end logic to this design. Check out the files as well.Check the Sketch File here. The shadow works like it is supposed to. You've cut-out your object, so if you apply a shadow it will be the shadow of a cut-out object. If I look at your picture you can also add a blue background that blocks the shadow. This is definitely a hack, but try this. 1) Duplicate the background with the gradient, 2) make a button on top with exactly the wanted dimensions - 3) clip those two shapes and 4)remove the hole beneath. Then you would end up with a moveable button instead of a hole in the white shape. This would mess up if you modify the gradient at a later point, but for now I hope it helps. Not the answer you're looking for? Browse other questions tagged sketch-app mask drop-shadow or ask your own question. How to find the element in which layer on Sketch?